Decolourisation of wastewater, particularly from textile industries, is one of the major environmental concerns these days. Current methods for removing dyes from wastewater are costly and cannot effectively be used to treat wide range of such wastewater. This work describes the use of commercial available granular activated carbon (GAC) as an efficient adsorbent material for dyes removal. Aqueous solutions of various basic dye Methylene Blue (MB) and azo-dye Tartrazine with concentrations 5-20 mg l–1 and 10-100 mg l–1, respectively, were shaken with certain amount of GAC to determine the adsorption capacity and removal efficiencies. The effects of adsorbent dose, initial pH, initial dye concentration, agitation speed and contact time on dyes removal efficiencies have been studied. Maximum dye concentration was removed from the solution within 60-90 min after the beginning of every experiment. Adsorption parameters were found to fit well into Langmuir and Freundlich adsorption isotherms models with correlation coefficient (R2 > 0.99) in the concentration range of MB and TZ studied. Özellikle tekstil endüstrisinden gelen atık suların renginin giderilmesi günümüzde büyük çevresel kaygılardan birini oluşturmaktadır. Atık sudan boyar maddelerin giderilmesini içeren şu andaki yöntemler pahalıdır ve böyle atık suların geniş ölçekte ele alınmasında etkili olarak kullanılamaz. Bu çalışma, boyar maddelerin giderilmesinde etkili bir adsorban malzeme olarak ticari olarak mevcut granül aktif karbon (GAK) kullanımını tarif etmektedir. Bazik bir boyar madde olan Metilen Mavisi (MB) ve azo boyası olan Tartrazin'in sırası ile 5-20 mg.L-1 ve 10-100 mg.L-1 olarak değişen konsantrasyonlarında sulu çözeltileri belirli miktarda GAK ile çalkalanmış ve adsorpsiyon kapasiteleri ile giderme etkinlikleri belirlenmiştir. Adsorban dozu, ilk pH, ilk boya konsantrasyonu, çalkalama hızı ve temas süresinin boyaların giderme etkinlikleri üzerine etkileri incelenmiştir. Maksimum boya derişimi, her deneyin başından itiberin 60-90 dakika içinde çözeltiden giderilmiştir. Adsorpsiyon parametreleri Langmuir ve Freundlich adsorpsiyon izoterm modellerine, çalışılan MB ve TZ derişim aralıkları içinde iyi bir şekilde uymaktadır (R2 > 0,99). Activated carbon, Adsorption, Methylene Blue, Tartrazine. Cheremisinoff P. Handbook of Water and Wastewater Treatment Technology. New York: Marcel Dekker; 1994. Ching Y. S. CCP. Adsorption of Basic Dyes from Aqueous Solution by Various Adsorbents. SEPARATION SCIENCE AND TECHNOLOGY Vol 39, No 8, pp 1733–1750. 2004. Gupta VKM, D.; Sharma, S.; Sharma, M. . Removal of basic dyes (rhodamine B and methylene blue) from aqueous solutions using bagasse ﬂy ash. Sep Sci Technol , 35 (13), 2097. 2000. Twardowska I. HEA, A.F. Kettrup, W.J. Lac. Solid Waste: Assessment, Monitoring and Remediation: Gulf Professional Publishing; 2003. Namasivayam C RR, Suba S. . Uptake of dyes by a promising locally available agricultural solid waste: coir pith. . Journal of Waste Management; 2: 381-87. 2001. Nemerow NL. Industerial Water Pollution: Origin, Characteristics, and Treatment: Addison-Wesely Publishing Company 1987. Ramakrishna K.R. aVTV. Dye removal using low coast adsorbents. Water Science and Technology, 36, 189-196 1997. Robinson T, Chandran, B., Nigam, P.,. Removal of dyes from an artificial textile dye effluent by two agricultural waste residues, corncob and barley husk. Environ Int 28, 29-33. 2002a. .
Robinson T, Chandran, B., Nigam, P.,. Removal of dyes from a synthetic textile dye effluent by adsorption on apple pomace and wheat straw. Water Res 36, 2824-2830. 2002c. Robinson T. GM, R. Marchant, P. Nigam,. Remediation of dyes in textiles effluent: a critical review on current treatment technologies with a proposed alternative. Bioresource Technology, 77 , 247-255. 2001. Yu LJ, Shukla, S.S., Dorris, K.L., Shukla, A. and Margrave, J.L.,. Adsorption of Chromium from Aqueous Solutions by Maple Sawdust. J Hazard Mater, B100, 3-63. 2003. Rodriguez-Reinoso F. Activated carbon: structure, characterization, preparation and applications: In: Marsh, H., Heintz, E.A., ; 1997. Bansal RC, Donnet, J.B., . Active Carbon Marecr Dekker, New York, ; 1988. Deng H, Yang L, Tao G, Dai J. Preparation and characterization of activated carbon from cotton stalk by microwave assisted chemical activation—Application in methylene blue adsorption from aqueous solution. Journal of Hazardous Materials. 2009 7,30,166(2–3):1514-21. Chen S, Yue Q, Gao B, Li Q, Xu X, Fu K. Adsorption of hexavalent chromium from aqueous solution by modified corn stalk: A fixed-bed column study. Bioresource technology. 2012;113:114-20. Annadurai G JR, Lee DJ. Adsorption of heavy metals from water using banana andorange peels. Water Sci-Technol 47(1): 185-190 2002. Wang L, Zhanga, J., Wang, A., . Removal of methylene blue from aqueous solution using chitosan-g-poly (acrylic acid)/montmorillonite superadsorbent nanocomposite. Colloids Surf. A: Physicochem Eng Aspects 322, 47-53. 2008. Annadurai G JRS, Lee D. J. , Ruey-Shin Juang , Duu-Jong Lee. Use of cellulose-based wastes for adsorption of dyes from aqueous solutions. Journal of Hazardous Materials B92 , 263–274. 2002. Tabrez A. KHAN* IA, Ved VATI SINGH and Sangeeta SHARMA. Utilization of Fly ash as Low-Cost Adsorbent for the Removal of Methylene Blue, Malachite Green and Rhodamine B Dyes from Textile Wastewater. JOURNAL OF ENVIRONMENTAL PROTECTION SCIENCE, 2009; Vol 3, pp11 – 22. ,. Sidiras D, Batzias F, Schroeder E, Ranjan R, Tsapatsis M. Dye adsorption on autohydrolyzed pine sawdust in batch and fixed-bed systems. Chemical Engineering Journal. 2011;171(3):883-96. 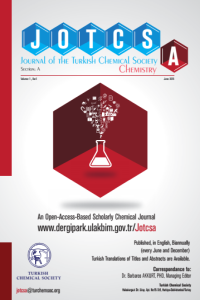 Gurses A. KS, Dogar C., Bayrak R., Acikyildiz M., Yalcin M. Determination of adsorptive properties of clay/water system: methylene blue sorption,. Journal of Colloid and Interface Science, 269(2), 310-314. 2004. Tsai W.T. CYC, M.C. Lin, S.F. Chien, H.F. Sun, M.F. Hsieh, . Adsorption of acid dye onto activated carbons prepared from agricultural waste bagasse by ZnCl2 activation, . Chemosphere 45 ,2001; 51-58. Malik P.K. Dye removal fromwastewater using activated carbon developed from sawdust: adsorption equilibrium and kinetics,. J Hazard Mater B113 ,2004; 81-88.
. Namasivayam C. DK, , . Removal of Congo red fromwater by adsorption onto activated carbon prepared from coir pith, an agricultural solid waste. Dyes Pigments 54 ,2002; 47-58. Malana MA, Ijaz, S., Ashiq, N., . Desalination, 263 ,2010, 249.